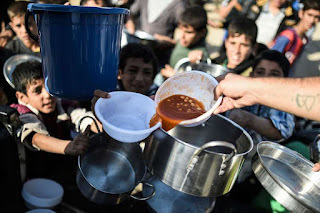 No fewer than 113 million people were affected in 2018 by very serious food shortages, including famine, a report by the European Union and two United Nations agencies said on Tuesday. “The worst situations were, in order of severity, in Yemen, Congo, Afghanistan, Ethiopia, Syria, Sudan, South Sudan and Northern Nigeria,’’ the Global Report on Food Crises said. The World Food Programme (WFP), another UN agency, also contributed to the report. “To truly end hunger, we must attack the root causes: conflict, instability, the impact of climate shocks,’’ WFP executive director David Beasley said. In September, in a report covering a wider definition of undernourishment, UN agencies said some 821 million people, one-ninth of the world’s population, did not have enough to eat in 2017.